Some people call it preservation and use it as an excuse to make money. They alter and re-shape to gain every inch of space to get more "bums on seats" to make a bigger profit. I totaly agree with you. However, I'd rather see it on the Thames everyday, rather than a hulk. 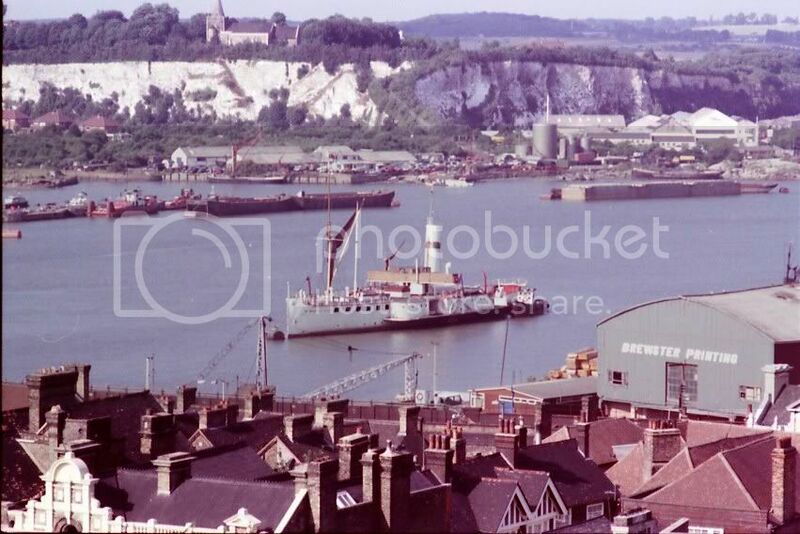 I also had the pleasure of boarding her from the port side ship to ship,When working as a radio engineer about 1984. 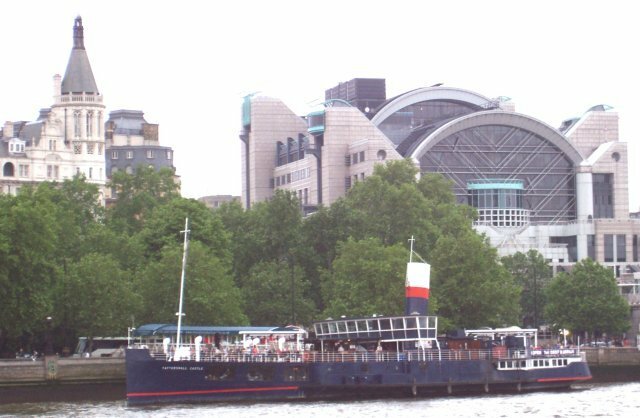 I left my van on the Embankment and should have been dropped at Embankment Pier but they were having problems and it was closed. But the Skipper dropped me off there. It was about 100ft high and half a mile ....Well thats what it seemed like.. It's a shame he died about five years ago (aged 85) he worked the Thames all his life. Thanks Medway Buoy, its a great shame now, that the boat is hardly recognoisable as a paddler, they have blocked in the paddle boxes to make more space. You are right karlostg. Here's a picture of her on the Acorn Blocks, minus her funnel, being converted to a floating restaurant. My photo is dated 1982.